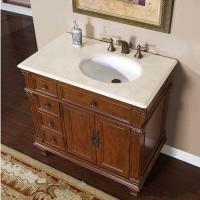 This single sink vanity has a traditional design that will look great within many types of room décor. 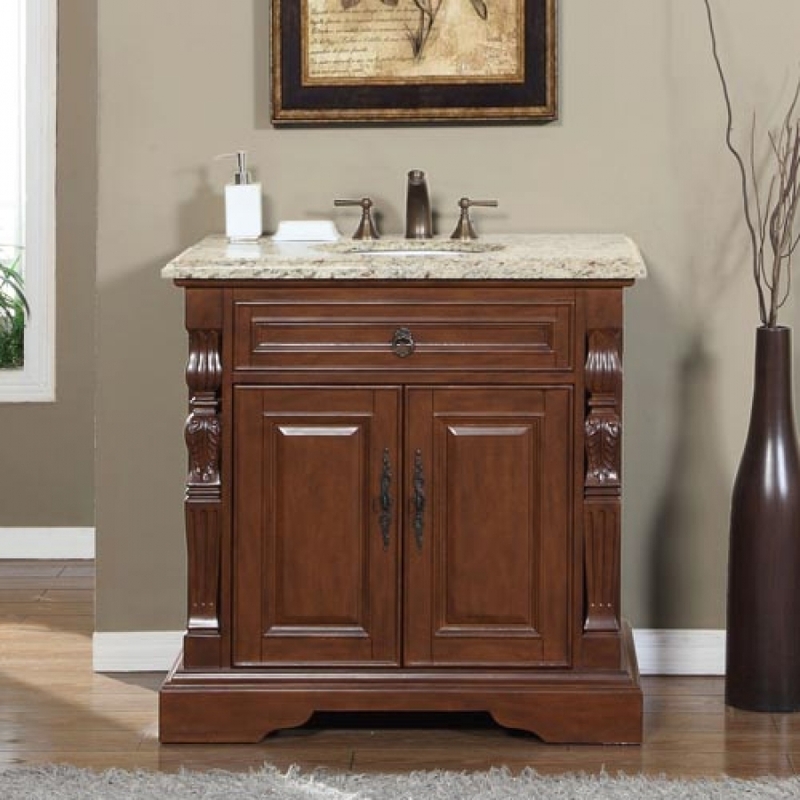 Wonderful carvings along the top edges add a decorative touch that makes the piece a nice addition to the space. Great functionality is also abundant in this piece, with a large double door cabinet with an interior shelf that aids in organization. 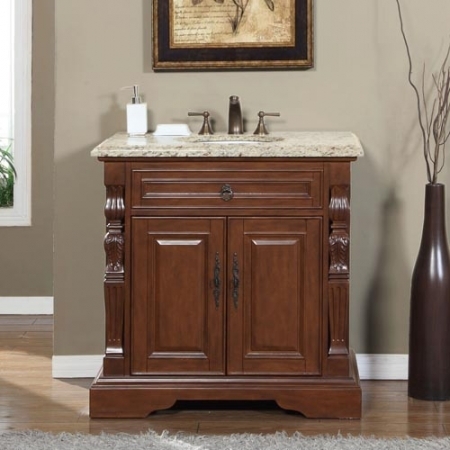 The single drawer is perfect for storing those small items in the bathroom. 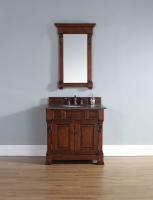 The rich brown finish on the wood is nicely accented by the antique brass hardware pulls and the naturally beautiful Venetian gold granite counter top. This is a decorative and useful addition to any home.